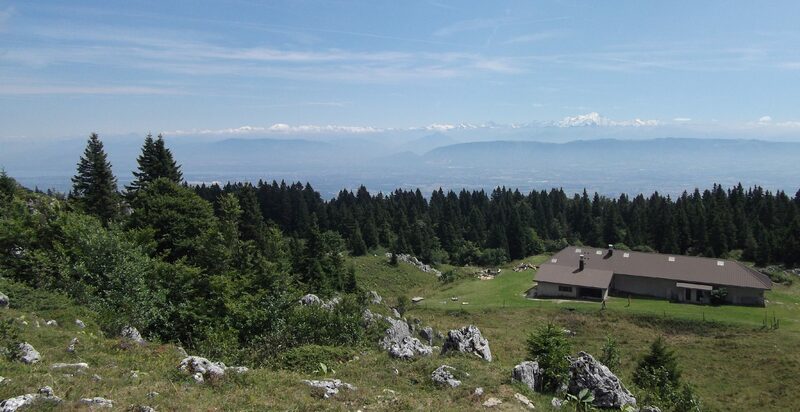 41 alpine chalets are scattered throughout the High Jura. Apart from a few exceptions, they preserve their pastoral heritage (Photo credits: RNNHCJ). The aim of the Natural Reserve is to protect the natural environment and the fauna and flora, while upholding the traditional economic and cultural pursuits of the local inhabitants (decree of the creation of the RNNHCJ). Alpine pastures were first established on the High Jura in the Middle Ages. Remnants of dry stone walls and ruins of herdsman’s huts can still be seen. Approximately 7,989 hectares of the Reserve is forested. This represents more than 73% of the surface of the Réserve naturelle forming part of a vast expanse of forest belonging to one sole landholder, the ONF (Office national des forêts – National Forestry Department), which manages all state-owned forests. This planning body balances modern technology and knowledge with the needs of society. Private forest owners may occasionally use the CRPF technicians (Centre régional de la propriété forestière – Regional Centre for Forest Territory) in managing their properties. The 11,000 hectares of the Natural Reserve extend over 18 communities (several neighbouring communities are, in fact, owners of woodland or pastures in the Natural Reserve). Community property represents 65% of the Natural Reserve (rather more than 7,000 hectares), while the State owns 65 hectares, less than 1% (mostly state-owned forest of the Valserine), while private ownership represents around 3,600 hectares.